All the watches are rare and they make a distinct impression. Some watches may be the fancy type, some other professional and some just made according to modern trends. All the watches may not be apt for all the occasions. In general, people prefer a single watch for all the occasions. In case if you are a watch lover, you can choose watches apt for all the occasions. A watch may not always suit for a business meeting or other professional ceremony. Choose the best watch for the occasion. Choose a simple and durable watch for everyday use: A simple and durable watch which lasts long can be selected for everyday use. The simple watches will go perfectly with casual wears. It can be worn throughout the day for office works, to schools and for every other casual routine. The watches used every day will last for short duration since they are worn throughout the whole day. 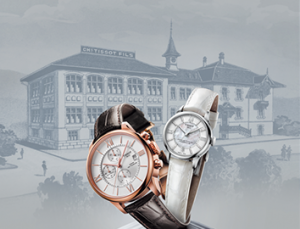 Choose formal watches for formal occasion: The use of the formal watches may add a finishing touch to the outfits. The formal watches are more expensive compared to casual watches. People may prefer the formal watches according to their interest. Some may require the watches having the same metal type of their all other ornaments. Women when going for a wedding function may require gold, silver or platinum strap watches. Men mainly prefer gold and silver strap watches. 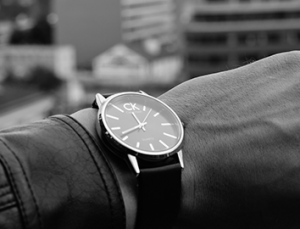 The formal watches may be highly expensive if you cannot afford a luxury watch in your budget, avoid wearing the watch in such formal occasions. Wearing a cheap watch may create a bad impression on people. Avoid using watches in such situations. Match your watch with your shoes: As the same case of matching the watches with your dresses, match the watch with your shoes. The casual shoes and chappals wore daily may match a casual watches. The high-cost chappals and shoes apt for a function will match heavy and luxury watches. Wear sports watches for sneakers. This may even give a classy look to the spectator. Match with your outfit: The outfits and the type of watches are closely related. The watches must match with the outfit. The simple watches may go with casual dresses. The outfits in a business meeting will require branded watches or luxury watches. Small kids may use fancy watches to schools. College students prefer strap watches to colleges along with the uniform. The ladies in parties prefer golden or silver strap watches. Thus, the selection of watch differs according to the outfits. People will have different considerations while selecting a watch. Choose a watch that matches with your taste and keeps you comfortable throughout.